Choosing a home care provider can be confusing. Several levels of care are available, some companies offer more than one level of care, labels like “home care” or “home health” are generalized and inconsistent, regulations differ by state, and not all providers accept all payment types. Below is a brief description of different types of home care in Virginia. 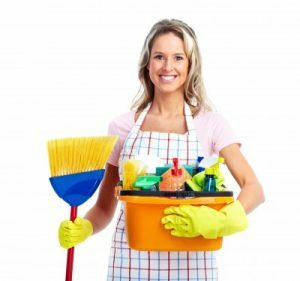 Home Helpers and Companions provide meal preparation, light housekeeping, transportation, shopping and errands, medication reminders and assistance with social or entertainment activities. Personal Care Aides physically assist their clients in the basic activities of daily living (ADLs) – eating, bathing, dressing, toileting, transferring, and continence. This requires hands-on care and a higher level of training than companion care. Many states – including Virginia -- have specific licensure laws and regulations that govern personal care. Skilled Care Providers are licensed professionals such as registered nurses (RN), licensed practical nurses (LPN), physical therapists (PT), or occupational therapists (OT). Skilled services are often covered (for short periods of time and under certain circumstances) by third party payers such as Medicare, Medicaid, and private insurance, but they are also offered by some agencies on a private pay basis. Hospice is defined as a coordinated program of home and inpatient care provided directly or through an agreement under the direction of an identifiable hospice administration providing palliative and supportive medical and other health services to terminally ill patients and their families. A hospice utilizes a medically directed interdisciplinary team. A hospice program of care provides care to meet the physical, psychological, social, spiritual and other special needs which are experienced during the final stages of illness, and during dying and bereavement. Geriatric Care Managers (like those at Care is There) assess a client’s needs in all areas of life, create a care plan, and help to implement and maintain that plan – while advocating for the best interest of the client. Care managers provide maximum independence for their clients and peace of mind for families by: helping them choose housing options and implement aging-in-place strategies; engaging companion, personal care, and skilled care services; managing medical appointments and follow-through care; handling emergencies and care transitions; facilitating legal and financial planning, and communicating with all members of the care team. Click here to learn more about the What We Do at Care is There Geriatric Care Management. If you need assistance choosing and supervising a home care provider or handling an area of life these agencies don't address, contact Care is There Geriatric Care Management at 800.434.1633 or Info@CareisThere.com for a free consultation.